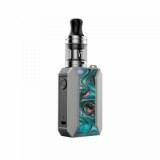 VOOPOO DRAG Baby Trio Starter Kit which is highly recommend for DL and MTL vaping lovers, with 1500mAh built-in battery, 1.8ohm e-juice capacity , new innovative Gene Trio chipset and PnP coils, to produce a great vaping experience for you. Here to introduce the VOOPOO DRAG Baby Trio Starter Kit which is highly recommend for DL and MTL vaping lovers. 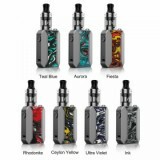 Powered by 1500mAh built-in battery, the DRAG Baby Trio is powerful but elegant starter kit with colorful resin panel and chain necklace for easy carry. Moreover, the DRAG Baby Trio adopts new innovative Gene Trio chipset which brings fantastic flavor with speedy power output. In addition with the creative PnP coils, patented top fill structure and tricolor LED indicator light, the VOOPOO DRAG Baby Trio Kit is definitely a great pal for vapers. 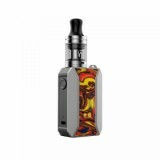 • PnP Coils is also available in BuyBest.